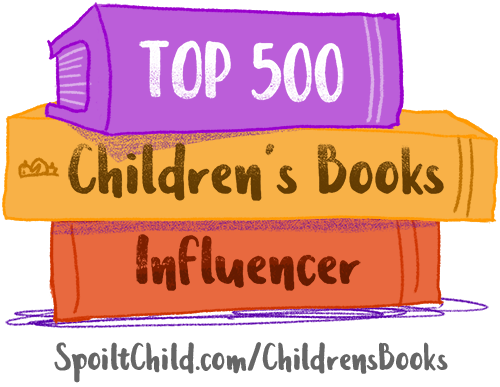 Top 500 influencers in Picturebook and Children's Publishing in the UK and Ireland. Filter by column heading or use search to find keywords or names eg teacher, bookblogger, agent, publisher etc. The higher the rank number, the more the community follow them. Engagement score is out of a top score of 100. The methodology and sources are listed below. Transforming lives by getting children and families reading. Winner of London's Best Independent Bookshop and the Children's Bookseller of the Year at British Book Awards 2017. Tweets from all the TOML team. Head of children's books promotion and prizes at BookTrust. Believer that books can save the world. All views expressed here are mine. Proud publisher of award-winning children's books to suit all ages. Including: The Gruffalo, Emily Gravett, Meg Cabot, Chris Riddell, Rainbow Rowell and MORE. Author, critic (inc Children's Books Ed, Sunday Times), campaigner. Often found on platforms. Joined Twitter 10 Feb 2014 (Plimsoll Day). Events via SP Agency. Publisher of some of the most well-known and best loved authors and illustrators in the world of children's books. Tweets from the children's team on all our books from babies to teen! I exhaust easily under the pressure to be interesting. Editor at Hodder ' Stoughton. Writer of Beauty by the Book and dispenser of unsolicited skincare advice. The biggest annual celebration of books and reading in the UK and Ireland. Join our buzz about books on 7 March 2019. Sponsored by National Book Tokens. Kate Wilson, founder ' managing director of Nosy Crow, multi-award-winning independent publisher of children's books ' apps. Reviews books, esp kids'/YA, @GuardianBooks, @MetroUK, @TheTLS. Freelance editor (http://www.imogenrussellwilliams.com). Can sum you up in 6 words or fewer. Owns an award-winning independent bookshop called Storytellers, Inc. and an award-worthy puppy called Daphne. Author of the Noughts ' Crosses series, Hacker, Pig Heart Boy, Boys Don't Cry, etc. Ex UK Children's Laureate. A retweet does not necessarily mean agreement. Distributor ' publisher of children's books and teaching resources. Please email enquiries@scholastic.co.uk with any queries. Where good stories begin… Join our adventure here! We’re an independent publisher of fantastic books for readers of all ages. All the latest news from DFB HQ! Inspiring a lifelong love of reading. Discover our new and classic children's books, gift editions for special occasions and the best children's writers. Artistic Director of The Bath Children's Literature Festival and more besides. 28th September - 7th October 2018. I am not a Dentist. A national charity changing lives through reading and writing. The home of @Bookbug_SBT, @FMReadChallenge and @BookWeekScot. A book-loving bird. Author of the Murder Most Unladylike Mysteries / the Wells and Wong Mysteries ' the #GuggenheimMystery. #ASpoonfulofMurder is out now! Author, reviewer, poet, winner of The Roald Dahl Funny Prize, AND 'a national treasure' (Independent). You can read thephilipardaghblog on tumblr. Publisher of groundbreaking creativity, paper innovation, stylish design and contemporary illustration. An imprint of @KRPBooks. The children's books subsidiary of Simon ' Schuster UK. Check here for news, reviews, competitions and more. News, gossip and updates from Random House Children's Publishers UK. Author of Varjak Paw, The Outlaw Varjak Paw ' Phoenix – published in the US by @Candlewick. Sometimes I write about children's ' YA books for @Guardian. Passionate about reading and books and getting children and books together with the Federation of Children's Book Groups. News and twitterings from the Children's Book Circle, London. Check out our website for details of upcoming publishing events. The UK's iconic independent bookseller since 1903: tweets from Gavin ' Jake. (We can only respond to queries during office hours). mother, school librarian, blogger, book lover, French, MA Children's Literature. #1 NYT-bestselling author of 10 books. Release. More Than This. Chaos Walking. A Monster Calls. Runner of marathons. Part-Norwegian. Tall. Pale. Not undead. We inspire people of all ages to read for pleasure and empowerment. Working with our partners, our aim is to make reading accessible to everyone. All the news on Nosy Crow books. You can also find us @NosyCrow and @NosyCrowApps. A publisher of fiction for the young ' young at heart. Part of @BonnierZaffre. Find us on Insta at @hotkeybooks. Illustrator ⭐️The Nothing To See Here Hotel⭐️ 🐶Shifty McGifty🐶 🚀Frank Cottrell Boyce 🚀 🐾The Hundred And One Dalmatians🐾Vlogger. We put quality children's literature at the heart of all learning. A charity dedicated to helping schools develop literacy learning that transforms lives. Writer ' freelance arts journalist. Debut novel, Pages ' Co, coming Autumn from @HarperCollinsCH. Host of #lushbookclub. Represented by @cmlwilson. Editorial Director for Picture Books at Penguin Random House Children's UK. Loves stories, making stuff and toast. Opinions own. The artist formally known as Jodie Marsh. Children's authors and illustrators literary agent at United Agents. Society of Children's Book Writers ' Illustrators – British Isles: supporting both published and unpublished creators of children's books. Writer,poet,performer,broadcaster, Professor of Children's Literature at Goldsmiths, University of London. Requests for visits through website, not DMs please. Author and illustrator of children's books: Dixie, Dotty, Mango ' Bambang, Mary Plain. Represented by Hilary Delamere. Drives like an Italian, apparently. Publisher at Penguin Random House Children's UK. Runner, wannabe yogi, Desert Island Discs obsessive, West Wing addict, Italophile. Just Imagine... education consultancy and school book supply. Promoting excellence in reading and writing across the UK and beyond. Tweets from the JI team. Author and columnist @AttitudeMag and @GlamourMagUK, role model for @StonewallUK. “CLEAN” is out now! Books to take your children's eyes on a journey of wonder. Publisher of award winning fiction and non-fiction for children. I'm a lead driven, pencil pushing, 12 volt DC enhanced, children's book illustrator of frogs on logs and 2 headed dogs. Amen. Founder of @lounge_books a home for book-lovers ' Lounge Marketing an author book marketing service. The best connected person in book publishing. Award-winner. Childrens book writer and illustrator. Easily distracted by caramel wafers, coffee and twitter. Book review site, featuring books from all the many walks of literary life. An independent Bookshop specialising in children's books, part of Seven Stories The National gallery and archive. Tweets from the Bookshop team. Stories, immersive exhibitions, books, play, author visits and imagination at the UK's first story centre. Responding to tweets Mon-Fri 10am - 5pm. Head of PR at @the_orionstar @orchardbooks @lbkids @patacakebooks (part of @hachettekids). Big fan of good children's books, most TV, Cher, dogs ' Essex. I review children's books for Lovereading4kids, run Books for Keeps, am director of children's programme Oxford Literary Festival ' manager National Poetry Day. By day, Group Picture Book Publisher at Hachette Children's Books who loves to read. By night, fitness junkie who needs to sleep! All opinions are my own. Author of The Tale of Angelino Brown, A Song For Ella Grey, Half a Creature From the Sea, Skellig, Mina. Prof of Creative Writing at Bath Spa. Envier of larks. Children's Books Ireland is the national resource organisation which aims to share the joy of books with every child and we'll let grown ups join in too! Stripes publishes warm, bright, bold and appealing reads for kids aged 6 to teen. Publicity, Editorial and Design keep you updated on all Stripes goings-on! Author, illustrator, human. Billy and the Beast (out May 2018), The Bumblebear, Good Little Wolf, other stuff. Agent: @jounwin. Author of VIKING BOY and many other books, slave to The Goddess and Betty the Border Terrier. Oh, and chair of ALCS and The Siobhan Dowd Trust. Co-organiser of monthly #DrinkYA events in London; follow @MeetUKYA for details. Writer (His Dark Materials, etc). Read like a butterfly, write like a bee. 'Looks like a retired roadie now working in a petrol station' - The Bookseller. The UK’s leading book recommendation website. Our mission is to promote a love of books and reading and to help our members find their next favourite book! Author/illustrator. Penguins, bears, sausage dogs, pirates, dinosaurs and Kevins. Book Events for Children has news on children's book events across the country. Also organise author visits to school through Book Events for Schools . Former children's books publisher now enjoying a very busy retirement. Also daughter of multi-award winning author, Peter Dickinson. illustration, mostly. books include I Want My Hat Back, This Is Not My Hat ' We Found A Hat. Latest book is The Wolf, The Duck ' The Mouse by Mac Barnett ' me. Publishers of award-winning fiction for children and teens. Small but mighty. RTs not endorsements. Publisher of Macmillan Over 6s, ex Hodder and S'S. Possibly the long-lost cousin of Ryan Gosling. All views my own, not the company I work for. Children's literary agency - picture books and novels. Also babies ' one-legged football. Tweets by Lucy ' James Catchpole. Children's Book Buyer @Waterstones. Views are my own and mostly book related. Book lover, bardolator and rum drinker; Fiction Publisher at Penguin Random House Children's; co-founder of Antic Disposition (@anticdispo). Freelance publicist for books and cake - the perfect combination. Word juggler. Herder of children. Author of books with @macmillankidsuk, @nosycrow and @faberchildrens. Repped by @evewhiteagency. Sings a lot. PR lovely authors and market great children's books. Always on the hunt for the best gluten-free cakes to eat while reading. Personal account and views my own. PR Director @ Andersen Press. Little Monster (still.) London Lover. Telly, books, movies... All opinions/thoughts my own, you know the drill. A most unusual museum. Exhibitions, immersive spaces, events, talks, shop ' café. Registered charity. IBBY UK is the British section of the International Board on Books for Young People. Children's Publicity Manager at @faberchildrens/@faberbooks. occasional festival chair/speaker. Hufflepuff, circus flailer, feminist, daydreamer. Young people deserve the best stories and I'm working to make that happen. @scoop_the_mag @pushkinpress. Sally Gardner is a multi award-winning novelist from London. Also writing as Wray Delaney for adults. Do say hello. Literary Agent at the Bent Agency. CLOSED TO SUBMISSIONS. Nail polish enthusiast, goldfish and unicorn obsessive, Slytherin. The UK’s only public gallery devoted to illustration. Now on: graphic design from North Korea, Christy Burdock and Quentin Blake. The UK’s YA Lit Con at the London Film ' Comic Con #LFCC. 27th-29th July 2018 - tickets on sale now! Author, artist, maker of books, games and whatever else is needed to encourage creativity and thought. Hopes you are mostly happy. Literary Agent. Loves inter alia Bob Dylan, Brueghel, Byron, Chardin, Donne,Dickens, T S Eliot Lucien Freud, horses, Leonard Cohen, Marvell, Mozart, WS, Yeats. Specialist children's bookshop for kids ' their grown ups.Drop by for great recommendations,meet an author/illustrator,pre/after school fun ' relax in our café! Illustrator/ Author/ Scribblemaniac - Rep'd by @PennyHolroyde at Holroyde Cartey Ltd. Ran away from home with a cabbage ' an empty flask. Haven't looked back. Carousel: The Guide to Children's books is a 48 page magazine. Subscribe for as little as £13 and get the latest news, reviews and interviews. 23rd Year! Purveyors of fine books since 1929, and still trading independently. We're an exciting indie children's bookshop, providing our community with beautiful books and affordable, high quality tuition. Editor @scholasticuk, commissioning picture books, fiction and YA. 70% Domino's pizza, 20% Daria Morgendorffer, 10% Clarissa Darling. Wrote Ways to Live Forever, Season of Secrets, All Fall Down, Close Your Pretty Eyes, An Island of Our Own, Things A Bright Girl Can Do. Commissions fiction and does other stuff for @NosyCrow. 50% of the @rchapz-industrial complex. Editorial Director for Children's fiction @simonkids_uk /rubbish TV addict/known karaoke mic hog/occasional tweeter on @simonkids_eds Thoughts here are my own. Agent/Director/Owner at Holroyde Cartey. Chronic retweeter. Erstwhile owner of cheekbones. Radio 6. Children's author and illustrator. First novel The Cat ' The King out now. Writer: Shifty McGifty and Slippery Sam, Fairy Tale Pets,The Grunt ' The Grouch, Hubble Bubble Granny Trouble!,The Little White Owl, Archie: NO! WHY? MORE! NOW! Children's publisher, runner, knitter, orienteer, mum (all of sorts). Seek out brilliant books on behalf of OUP. Blather on Twitter on behalf of myself. Publicist at Penguin Random House Children's Books, Loves reading, running and baking. Own views. D H H Literary Agency Director ' Freelance Editor. Story lover. Book-as-object lover. Infatuated with vintage typewriters. Feminist. It's Ms. Author ' illustrator. I DON'T WANT CURLY HAIR, EVIL EMPEROR PENGUIN, AMELIA FANG ' THE BARBARIC BALL... AMELIA FANG ' THE UNICORNS LORDS Publishing March 2018. Editorial Director at Penguin Random House Children's. Yorkshire girl, honorary Londoner, Ravenclaw. YLG is a special interest group of CILIP we act as advocates for library services to children and young people and the work of children’s and youth librarians. Candlewick Press is one of the fastest-growing children’s book publishers in the US, creating beautiful, high-quality children’s books. A unique three floor art gallery in the famous art district of St James's, Central London, exhibiting contemporary illustrators artwork from around the world. Official HarperCollins UK account. Publishing the finest authors around the world since 1819. Sign up to our free newsletter. The enormous Children's ' YA department at Waterstones Piccadilly Circus. Meet us under the Big Top! Editorial Director, Bloomsbury Children's Fiction. Children's author and paper-engineer. Writer of 'Bringing Down the Moon', 'The Princess and the Pig', 'Someone Bigger', 'The Santa Trap' and many other books. Official feed for the Hachette Children's Group, creators of bestselling and award-winning books for children of all ages and interests. Writer. 4% Neanderthal. Possible inventor of the term (and sufferer of) Undiagnosis. London-based Illustrator. Represented by @jodiehodges31 at United Agents. Publisher/Tea Drinker at Stripes Publishing, Caterpillar Books, and 360 Degrees. Happiest searching for new artists ' developing concepts for new projects. Lovereading4kids is the Number One Book Recommendation site for Children's Books from toddlers to teens. Author person. More than 90 books published, more than a million books sold. *Oo-er! * I witter here + post nonsense on Instagram. Expect occasional catness. PR ' Marketing Director for @abramschronicle. Traveller ' reader. Fan of libraries ' bookshops. Keen recipe tester ' cookbook collector. Award-winning children's author. 0.4% potassium. Books include The Many Worlds of Albie Bright, The Jamie Drake Equation and The Infinite Lives of Maisie Day. Publicist at PRH Children's. Feminist. Loves baking and hedgehogs. Not baking hedgehogs. Obsessed with fairytales and knitwear. Own views and all that jazz. Award winning author, tap dancer, daydream believer. Editorial Director at Macmillan Children's books. Purveyor of URST. Proponent of mirth. All opinions my own. Editorial Director for Enid Blyton at Hachette. Always reading, cooking, listening to radio or tweeting. Usually doing all 4 at once. Views mine, not Enid's. Scruffy, award winning Illustrator. Represented by The Bright Agency. 'The Bear ' The Piano' and 'Grandad's Secret Giant' are out now. The UK's leading supplier of children's books and furniture to schools and public libraries, we're passionate about inspiring children to read. Fiction Editorial Director at Egmont. Essex girl in South East London responsible for three young Wild Things. All opinions my own. Ex award winning blogger - Serendipity Reviews. Writes furiously. Starting an MA in Creative Writing at Chichester in September. Works in a real castle! Writer / Illustrator powered by tea. Represented by Bell Lomax Moreton. Puffin and Bloomsbury. World Book Day Illustrator 2015 ' 2016. Author of books for adults, teenagers, and younger children. We are a company that specialises in arranging for authors to visit schools and libraries in the UK and abroad. We also provide speakers for training courses. Mum of two, Editorial Director at Macmillan Children's Books, anthologist. Publishing Director (picture books, classics, non-fiction ' gift books) @EgmontUK and house builder. All opinions my own. Writer of downright odd children's books. Hobbies include travelling, dressing in period costume and scuba diving. Addicted to volcanoes and trying new things. Editorial Director for Picture Books at Simon ' Schuster UK. Views my own. Simon ' Schuster UK is home to a stellar list of authors and illustrators, publishing some of the most distinctive fiction, non-fiction and children’s books. Faith (13), reads lots of books (over 3000 of them since she was 9), promotes reading, gives exposure ' thanks to fab authors. Tweets by Mum. Faith is reading! Confused but trying to understand. 34yr old not-for-profit children's bookseller celebrating equality, inclusion ' diversity. Co-runs @littlerebsprize with Housmans Bkshop. AKA Alexis! Library ' info assistant based in kids library. Love my job, cat, art, theatre, books ' everything inbetween! Avid children's book blogger. Author, illustrator, and all round good egg. I'm a children's author, represented by @AnneClarkLit ' published (up to now) by OUP, Nosy Crow, Catnip ' Lion -pic books from 2ys up, books for 5-8, ' MG 9-12. London's largest dedicated children's literature festival, returning Saturday 12 ' Sunday 13 May 2018. Senior Commissioning Editor at @StudioBooks, creative writing mentor at @Mini_Stories, dog lover, rooibos tea drinker. Opinions my own. Drawing words, painting spells, weaving dreams, reading books. Owned by cats. Author of award-winning, bestselling The Girl of Ink ' Stars, The Island at the End of Everything. The Way Past Winter (2018), Vardø (2020). Rep'd @HellieOgden. The official Twitter profile from The LBF team. Follow for the latest news, industry features and fair updates. Hashtag #LBF18. Taking place: 12-14 March 2019. Purchasing books for @BookTrust. Former children's books editor. Loves books in translation. Reads lots, bakes a bit, cannot reach a top shelf. Literary Agent looking for your very best children's (picture books-YA) and adult stories. Also interested in illustration, memoirs and food (writing ' eating). Children's Illustrator, worrier, geek tendencies, occasionally over excited. Needs coffee. Likes procrastinating. Senior Editor - Published Writer of Children's Books ' Comics (including the @BeanoOfficial ) - Member of @SYP_UK ' @Soc_of_Authors - Owned by a pug ! Astonishingly humble children's author/festival performer responsible for Ninja Meerkats, The Thornthwaite Inheritance, Pet Defenders and Death or Ice Cream? Writer of stories for children, teacher of writing for children, mother, wife, dog walker, cook, etc. Loves making beautiful books @Usborne, mum to two beautiful time-hoovers, often seen running beautifully for a train. All views my own. Winning Children's Bookseller of the Year 2015 with a wide range of books, wonderful cafe and even a pirate ship! I write books and paint pictures. Author. Publicist. Trainer. Author of 8 novels published in 25 languages, 35 countries, including VAMPIRATES sequence. Train fellow authors via @AuthorProfile. Children's Author. Writes picture books ' young fiction. Likes rhyming, dog walks, cafes ' open fires. Available for Workshops, Visits ' Mentoring. Author of YA novels THE ART OF BEING NORMAL and ALL ABOUT MIA (@DFB_storyhouse). One of the FLOORED secret seven. Acts a bit (as Lisa Cassidy). Trucking along. Publishing Director for Egmont UK, working with Jim Smith, Katherine Woodfine and many brilliant others. Lover of books, travel, food, wine, telly and tomatoes. Books and literature news and reviews from the @Telegraph. Husband, Father, Senior Lecturer in English ' Children's Lit. at Oxford Brookes. Interested in Landscape in Children's Lit. ' Representations of Fatherhood. Literary Agent at Curtis Brown. Fan of Boxercise, fancy dress ' a whiskey sour but not all at the same time. Editor of The Bookseller. FutureBook. In denial. Creator of children's books. Draws bears on bikes, rats in sewers, badgers in bins, raccoons in trouble and little girls in wellington boots. Publications ' Projects Manager @KidsBooksIrel (temporarily), children's literature enthusiast and @theforestbooks ranger 🌲Opinions my own. From first reads to fairy tale classics, Ladybird helps little ones learn, play and grow! Commissioning editor @WalkerBooksUK. YA author (published by @simonkids_UK ' @SimonKIDS US). I'm represented by @LandRAgency. Feminist. All opinions my own. Publicising books, authors, illustrators, stories and the joy of reading. Including @JonathanAStroud and the @Iamfree2think campaign. Author of Greenworld YA trilogy. DAUGHTER OF LIGHT ' SHADOWS coming Oct '18. Book Reviews Editor at BookTrust. http://www.tinyletter.com/witchplease Views mine. Author of the bestselling Spinster Club series. Adult debut #HowDoYouLikeMeNow out in June. 90% Human 10% Anti-bacterial handgel. Illustrator, author, and cake baker - Winner of the Waterstones Children's Book Prize Best Picturebook 2014. Represented by the Bright Agency. Hilary Mantel is my Queen. Freelance journalist. Writes about books for @StylistMagazine. Editor-at-large @LittleTigerUK. #BAMEinPublishing co-founder. Formerly of @thebookseller. http://www.ReadingZone.com helps you find the best children's books published each month - news, reviews, extracts, author interviews, competitions and more! We're here to help parents, teachers, and librarians discover great reads for kids, from picture books to middle grade. Author of Young Adult fiction, including the Bartimaeus Sequence. The fifth Lockwood ' Co. novel, The Empty Grave, arrives September 2017. Waterstones award winning children's author, theatre maker and educationalist. Amnesty Ambassador upholding the rights of young people. My new picture songbook, Singing in the Rain, based on the song by Arthur Freed and Nacio Herb Brown publishes this autumn in the UK and USA. Penguin Random House is the world's largest English language trade publisher. We love to chat about books ' writing. Bookworms, unite! Award-winning Illustrator/author (Random House,Templar, Puffin,Scholastic,Candlewick,Faber) Gentleman, Zorro of the illustration world and lover of biscuits. Mum. Dog lover. Children's author. Author of the award-winning DAVE PIGEON books (Faber'Faber), illustrated by @SheenaDempsey. Represented by @FelicityTrew. Senior Commissioning Editor of picture books at Oxford University Press. Literary agent and director at @DKWLitAgency. Hufflepuff. Cheshire girl in London. Bold and bookish. Falls over a lot. Award-winning bestselling author of 19 mostly funny books. Never knowingly penless. Holly Hepburn's ghost. Usually has nice nails. Award-winning author of My Sister Lives on the Mantelpiece, Ketchup Clouds and Silence Is Goldfish. THE LAST DAYS OF ARCHIE MAXWELL - out now! Righter. WHO LET THE GODS OUT? series is my fault (with @chickenhsebooks). Loudhailer for http://www.bookbuddy.org.uk. All my opinions are someone else's. Lit agent ' director at Caskie Mushens, sartorialist and cat wrangler. Pollyanna-ish. Master of the cheeky wink. Generally heard before I'm seen. Bend and SNAP. Editorial Director of Picture Books at Scholastic. Lives on popcorn and laughter. Opinions are... let me think... mine. I write. I puppy-wrangle. Opinions never knowingly plagiarised. Rocking imposter syndrome as a PhD candidate. Rwy'n hoffi coffi. Hand-picked favourites at unbelievable prices. Customer service enquiries please contact @bookpeoplehelp. All competitions open to UK residents only. It's pronounced 'Owen'. My graphic novel 'Illegal' with @AndrewDonkin and @Rigano_Giovanni is out now. Senior Commissioning Editor at Egmont. Proficient at knitting and reading at the same time. All views expressed are mine. Born out of a desire to celebrate the very best in children's literature, we are a children's book group ' founders of the North Somerset Teachers' Book Awards. A group of published UK-based authors and illustrators of picture books, children's, MG and YA. Picture book commissioning editor at Penguin Random House. Love a good story. Views are my own. I am an author (The Fault in Our Stars, Turtles All the Way Down, etc. ), YouTuber (vlogbrothers, crashcourse), and a person who does not cast movies. Author of The Big Book of Nonsense, Monty the Dog who Wears Glasses, Have You Seen the Crocodile etc. Collector of books, humour and things absurd. Books (The Lost Words, The Old Ways, Landmarks, The Wild Places) Films (Mountain) Essays (Guardian, New Yorker) New book Underland underway. Fellow, Cambridge. Consultant, author, campaigner, trainer ' speaker. Whatever it takes to make children's books truly inclusive. Co-founder OUTSIDE IN WORLD and INCLUSIVE MINDS. A blog about picture books and the art of writing and illustrating them, written by picture book authors and illustrators. Follow for tweets of new posts. The BBA rewards the most promising new writers and their editors. The award is made annually to the most promising book by a first time novelist. Senior Publicity Manager @ScholasticUK Hufflepuff and proud. All views my own. Book-writin' woman. Shouty inclusion nerd. Marketing copy/content writer @unibirmingham. Contains mild peril. The United Kingdom Literacy Association is a registered charity, which has as its sole object the advancement of education in literacy. The international source for book publishing and bookselling news, reviews, and information. The Children's Bookshop is an independent children's bookshop based in Muswell Hill in North London. Illustrator, working mainly in children's books. Also Captain Falsebeard author. Fiction ed director, Penguin Random House Children's. Books, children, prob too many RTs. Frizzy-haired writer of kids books. Loves books, bichon frises, comics ' true crime. Awkward extrovert. Hypermobile hypersomniac. Bad Jew. It’s chaos, be kind! Editor at Penguin Random House Children's. I'm better on Instagram. Marketing ' Publicity Manager at Hachette Children's Books Australia (@HCBoz ' @dateabook). Previously at @Usborne and @PanteraPress. Claire Armitstead is Associate Editor, Culture, for the Guardian. Curiouser and curiouser. Co-founder of the Skylark Literary agency: @SkylarkLit. Loves sunny days, American TV, myths ' mysteries, children's books, YA books, all books! Author/Illustrator who DOESN'T do early mornings, big sums or fish paste sandwiches. But DOES DO day dreaming, pictures with small words ' lemon meringue pie! Book Reviews, Interviews and Giveaways. Quercus is a vibrant, internationally successful ' award-winning publisher. Tweeting news, views ' giveaways. RTs not endorsements. Bookish tweetings from Nic, Ju, Ed, Kate, Lucinda, Tom, Emma, Danielle, Jess, Amy, Sam, Henry, Lottie ' Eli at Mr B's Emporium of Reading Delights. Children's book writer ' illustrator. Children’s writer, including for @wp_fiction + @wonderbly. Fan of the outdoors, podcasts ' salted caramels. Hosts #ukmgchat. I write and illustrate picture books. Represented by @BLM_Agency. Book Pusher (freelance children's books publicist), Mum (two Best Jobs Ever), stained glass artist (@illuminateglass), yogini. Big fan of #wildtime. Librarian - 20 years + in school ' public libraries. Book lover - reviews for @TheBookbag EAL tutor. CertTESOL Interested in education ' reading promotion. Author, journalist ' event chair. New novel, 'If Only I Could Tell You' coming Feb 2019 @orionbooks. Rep'd by @SheilaCrowley. Award-winning author-led writing masterclasses for children. Join the #AuthorfyArmy to access inspiring videos ' cross-curricular resources. Tweets by Mel. Working with UK schools to develop long term relationships with authors, poets, illustrators and storytellers. Children's author and illustrator represented by @EuniceMcMullen. Author of over one children’s book. Editorial Director at Orion Children's Books (@the_orionstar) and trainee psychotherapist. Opinions all mine. Twitter account for the new YA and MG website run by Tales on Moon Lane. Publisher of wonderful children's books, mother of three wolfsuit-wearers, wife of one wild thing. I work for Bloomsbury but all opinions are my own. Jew girl. Senior Commissioning Editor at Hodder Children's Books in non-spare time. Loves a good piece of knitwear + partial to lattes. Without Exception – Freelance Editor ' Inclusion Consultant. Inclusive Minds Co-founder (@InclusiveMinds). Helping ensure books include ALL children. Writer for teens, children and currently adults. Amazing Grace and Stravaganza among others. Also Book Maven. Atom is a place for young adults, open minds, live wires and book obsessives. We do stories, not labels, so join us and choose your own. English poet. Writer of books and poems for kids, occasionally poems for adults. Tweets not necessarily child friendly. Header image by Levi Pinfold. 🏳️‍🌈 Writer. Steve Harrington forever. Writer, illustrator, comicker, rounders player. Believes all TV dramas should feature Paul Ritter. Agent at Greenhouse Literary Agency. Lover of stories, the outdoors and Ireland. Mama, author, actor, dreamer. Let the wild rumpus start! Jenny. 30. UK. Book blogger ' bookseller. Loves Buffy, TV, vampires, LotR, The Book Thief, GoT, films, music. Lifelong fan of monsters, magic and the macabre. Illustrator etc 🖍️ Rep'd by @astound_us. HAMSTER SITTER WANTED out now. Currently illustrating for Penguin's Dial Books ' others. Alan (creator of this list) is a BAFTA nominated and award winning designer, illustrator and author. Working on his first picturebook. A few people have asked me for the image above or similar to add to their website so I made the following image you can copy and use. A few notes about this data. My day job is marketing so I applied that knowledge to the UK and Ireland children's book market. This list is then ranked according to how many children's books people follow them. By entering your information, you'll receive occasional updates from Alan O'Rourke on book marketing, publishing resources and illustration. You can unsubscribe at any time.